A good getaway for those seeking some tranquillity, the beach has warm waters. It’s a little more than a mile south of Orla de Atalaia. The sand is golden and levels over the beach’s wide area. The water is a little choppy, but shallow enough for kids to safely bathe. Further out, you may see some people windsurfing. Along the beach’s edges are kiosks, bars and restaurants; the fare is mostly crab and oysters, but it’s REALLY good crab and oysters. The staff tends to be highly attentive. It’s more crowded in the summer; large sections turn into impromptu beach volleyball and beach football venues. 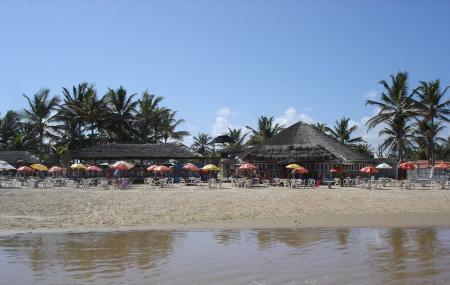 How popular is Aruana Beach? People normally club together Croa Do Gore and 13th July Promenade And Viewpoint while planning their visit to Aruana Beach.